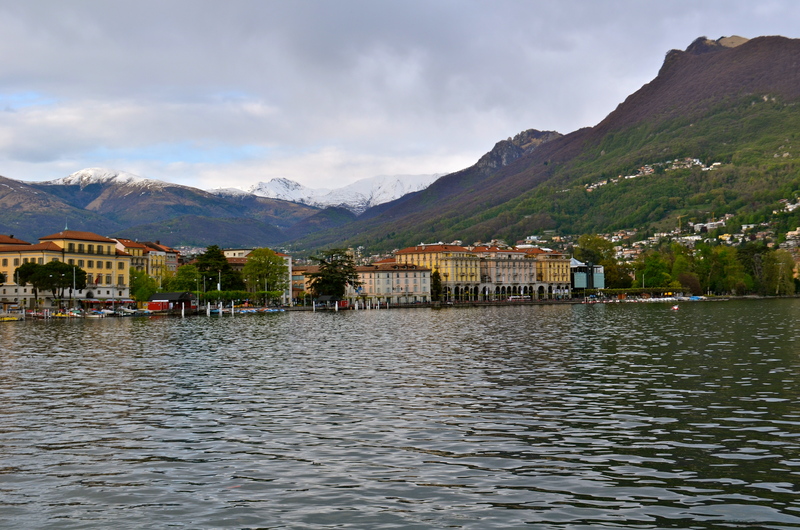 We took the Bernina Express train and bus around Lake Como to get to Lugano. 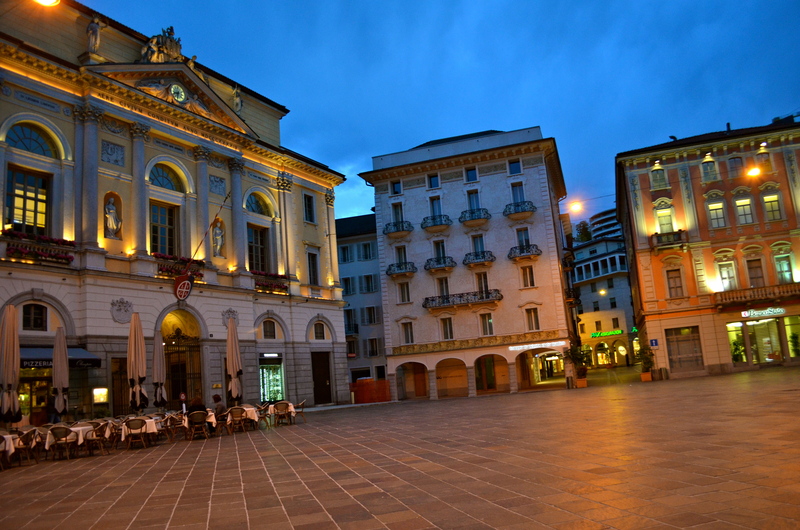 Lugano is the largest and busiest town in the Italian part of Switzerland. Depending on who you believe, it’s Switzerland’s second or third most largest banking center. 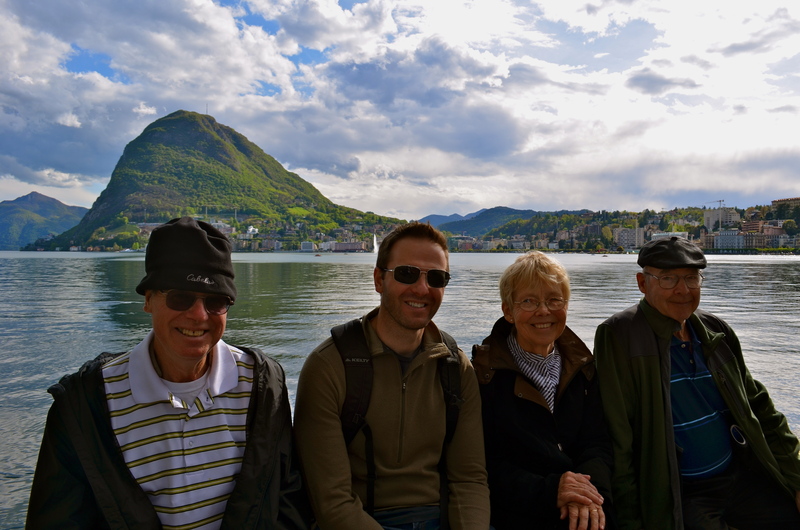 In his book on Switzerland, Rick Steves’ says George Bush is rumored to pop in yearly. If it’s true, I can’t blame him. Lugano has better weather than Geneva or Zurich. While we were enjoying the sun, it hailed in Geneva. 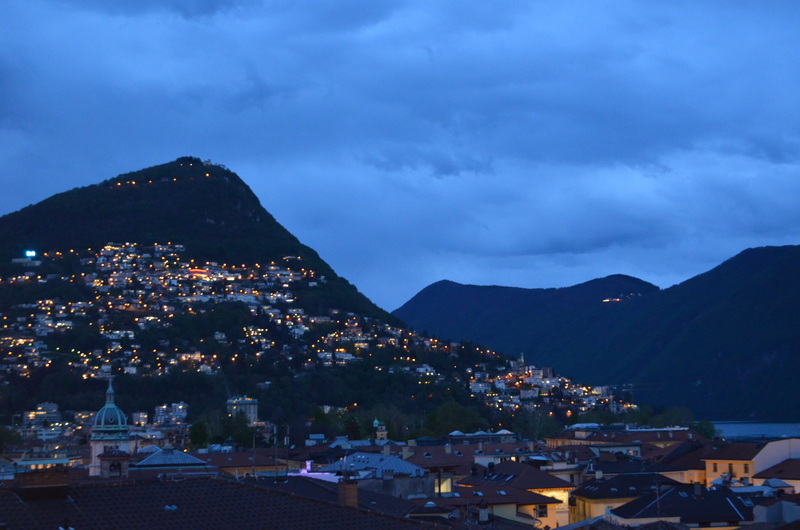 Looking at Lugano, you can tell it has some money. High-end boutiques and private banks line the lakefront. Luckily for us, it is also lined with parks, statues, flowers and shaded walks. 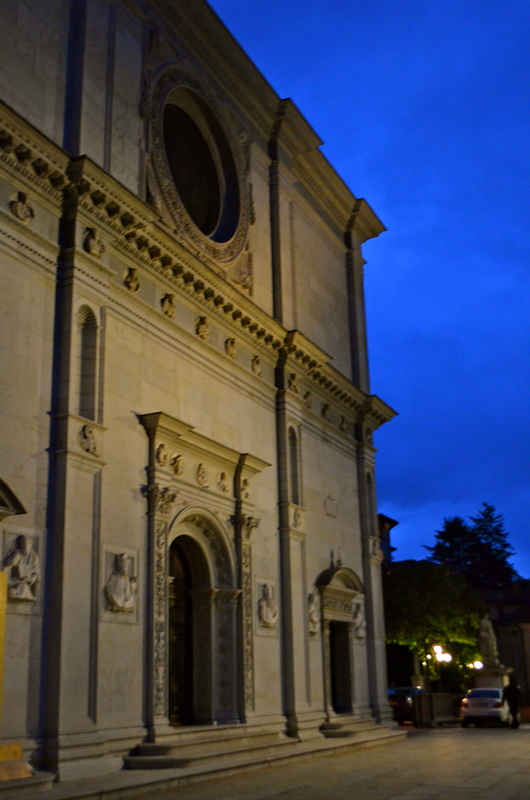 While that is all pretty standard for Switzerland, its Italianate Lombardy style buildings let you know you are south of the Alps. 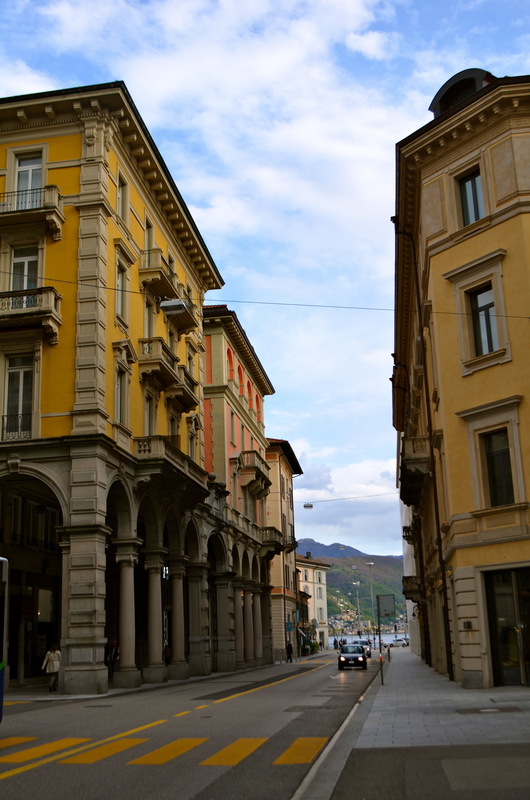 Lugano isn’t magnificent, but it is pretty and interesting. 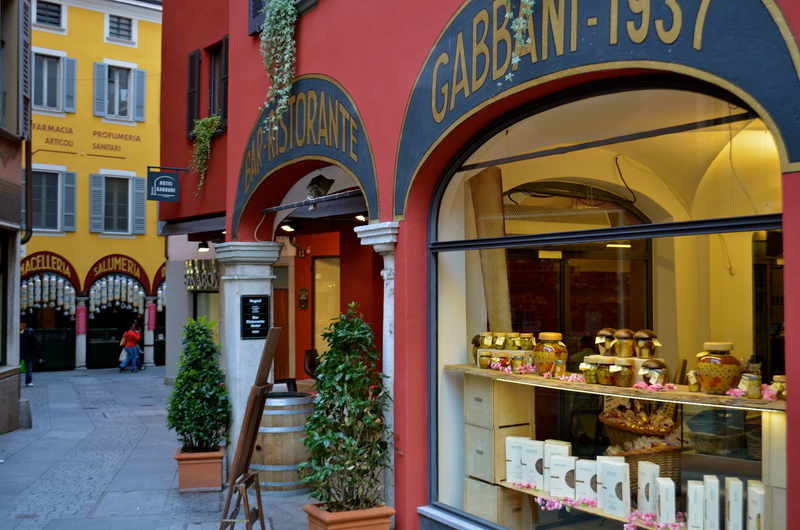 Surrounded by mountains, Lugano has a traffic-free historic town center, and wonderful Italian food. 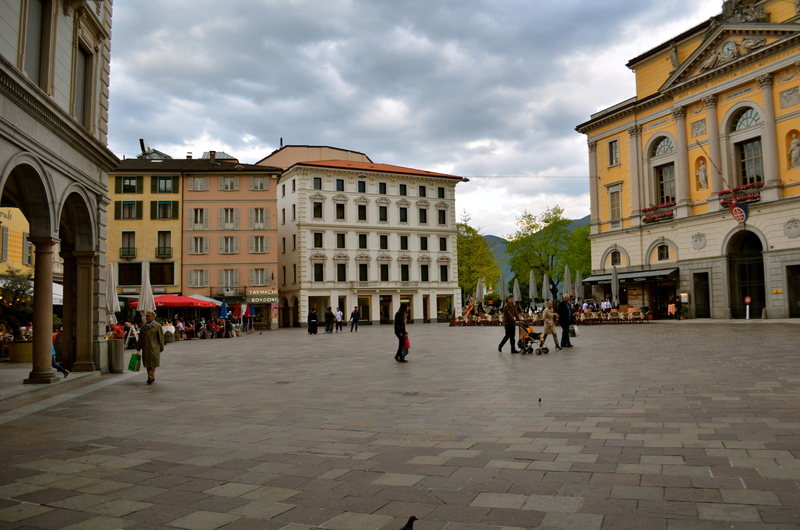 Piazza della Riforma is Lugano’s liveliest square. 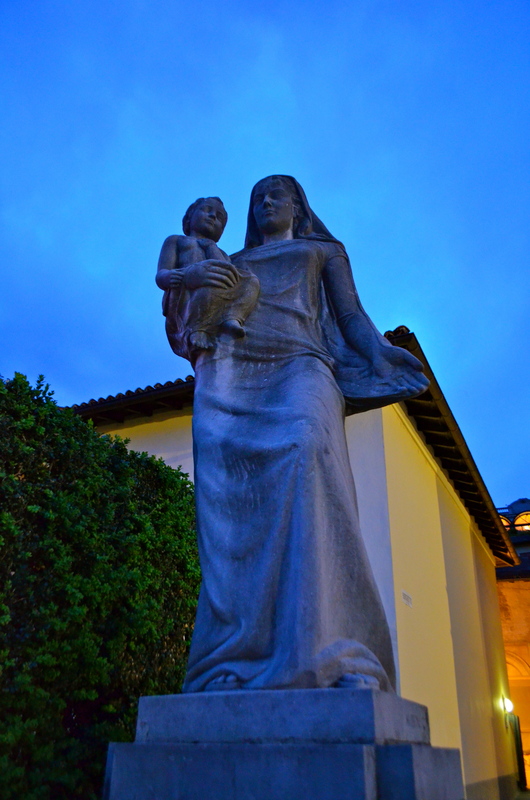 As the name of implies, Lugano has a progressive spirit. The region (Ticino) gave Napoleon the finger by creating the independent Republic of Ticino. 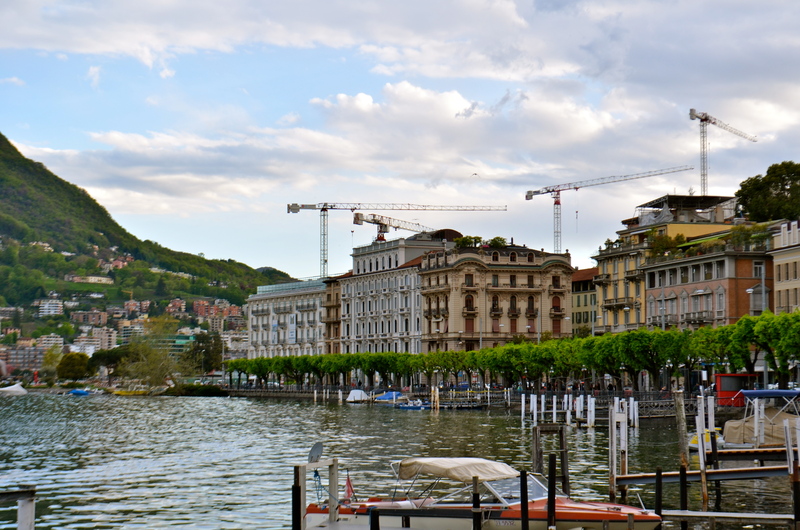 Italian revolutionaries met in Lugano (near Milan but safely over the border in Switzerland) to plan Italian unification. From teenagers joking with each other, to couples strolling, to children chasing pigeons to flashy Italian sports cars in garish colors, there was always something happening in the square. 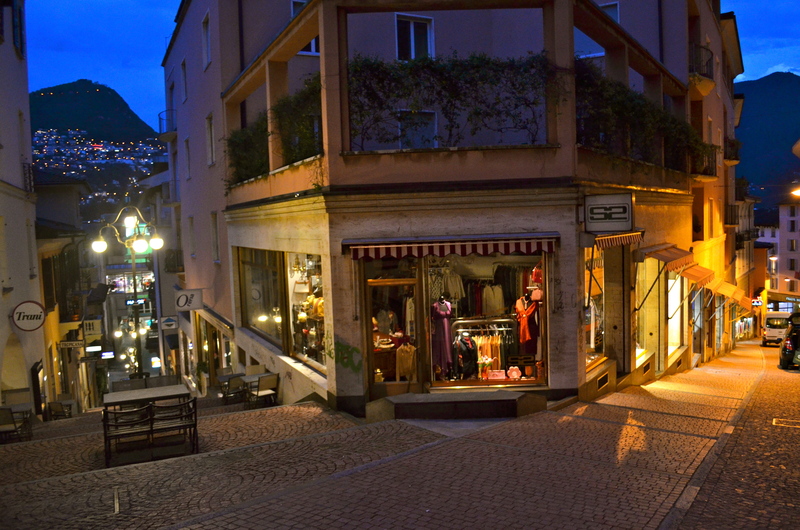 Via Nassa is one of Lugano’s main shopping streets. Like Geneva, that are lots of places to spend your money while killing time before your meeting with your private banker. 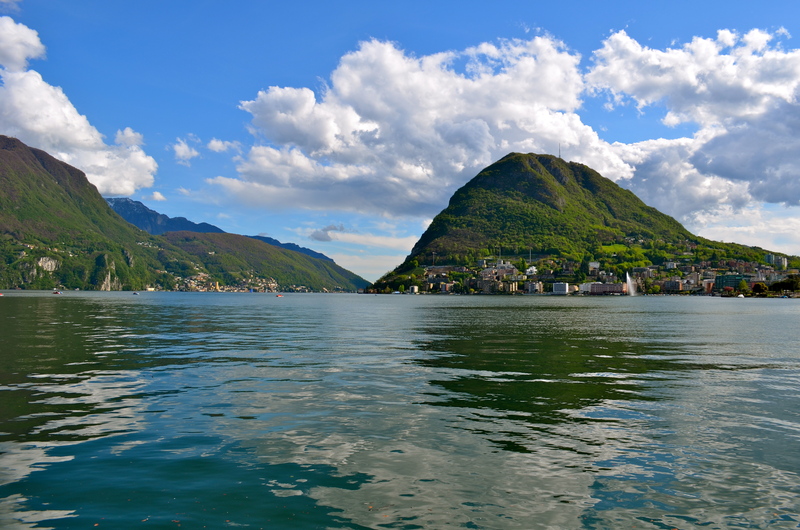 Lugano isn’t flat. 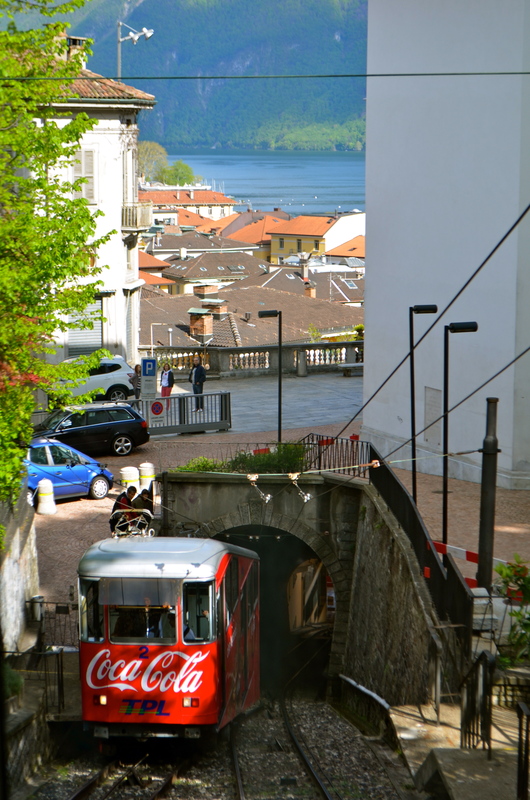 If you aren’t up for climbing some hills, you can take the funicular. You can ride it for free with your Swisspass train pass. Please note that I mentioned free in a post about Switzerland. It doesn’t happen every day. 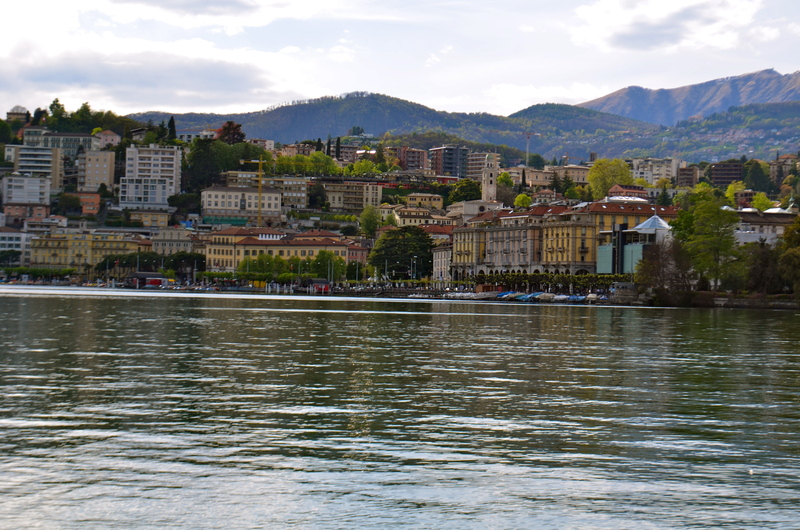 We strolled through Parco Civico Ciani on the shores of Lake Ceresio. It has subtropical plants, loads of flowers and ancient trees. 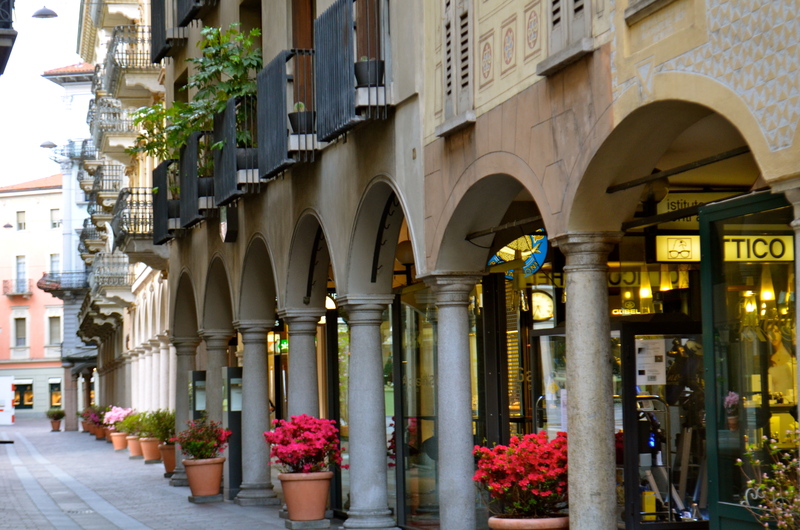 With its Italian influenced culture, the smell of Italian food wafting through the air and mild climate, it is easy to forget that you are not in Italy. Lugano put up signs on how to cross the street in Switzerland. 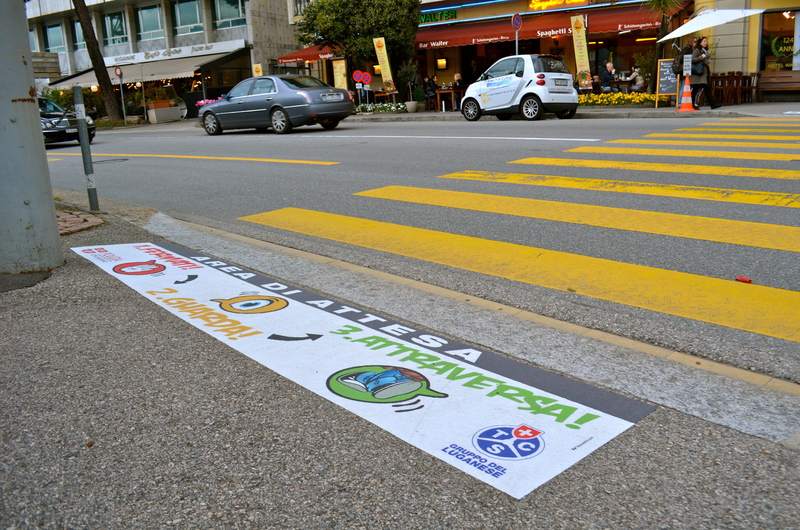 I am not sure whether it is for the pedestrians to learn how it is done in Switzerland or to provide guidance for dealing with the many Italian drivers. 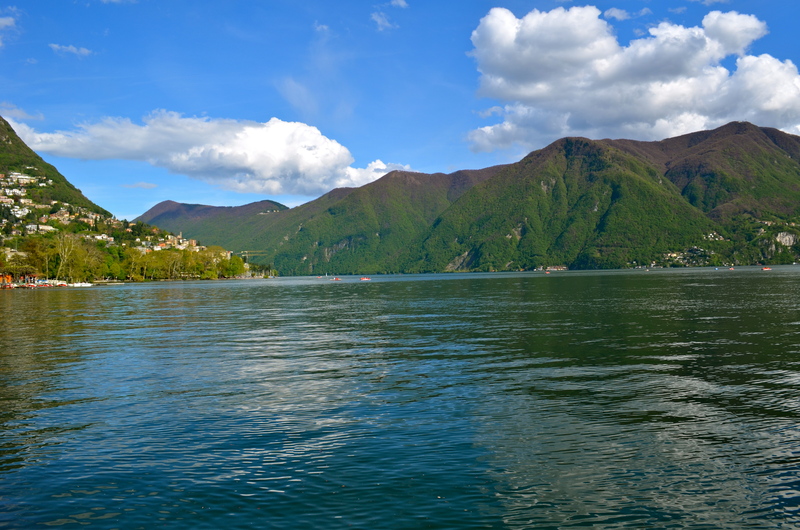 Lake Lugano (like many of the lakes in the region, including Lake Como) is polluted and swimming isn’t advised. This is unusual for Switzerland. How can you not want to jump into this baby?